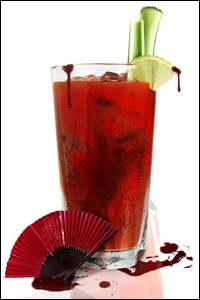 Ghouls & Goblins: Killer Halloween Cocktails for Your Party! Having a Halloween Party? Then check out these killer cocktail drinks for your event! I know my friends is gonna love this! Have a safe Halloween. Please Drink Responsibly! 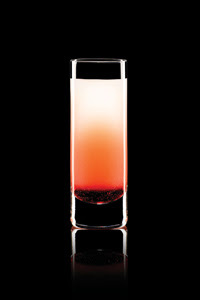 In a cocktail shaker, muddle the strawberries with lemon juice and simple syrup. Add vodka. Add a cup of ice and shake vigorously. Pour contents into a Collins glass or goblet. Top with a splash of club soda and stir. Garnish with additional strawberry and serve. 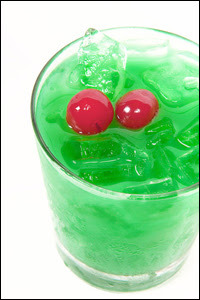 In a cocktail shaker, add rums, melon liqueur, sour mix, club soda, and ice. Shake gently and strain into a chilled champagne flute with ice. Garnish with a lime wheel and a mint leaf. Add all ingredients to a mixing glass. Add ice and shake for 10 seconds. Strain in highball glass. Garnish with cherries. In a shot glass, start with absinthe. 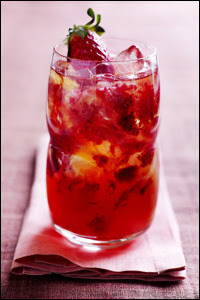 Add ice cold water that has been shaken with sugar or simple syrup. Now add grenadine, which will sink to the bottom to form the lower layer. Next, float the dashes of bitters on top to form the top layer. Add all ingredients in a cocktail shaker with ice and shake vigorously. 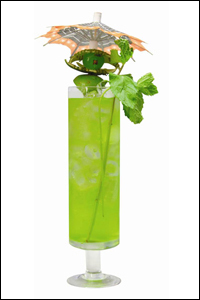 Pour drink in a tall glass and garnish with a celery stalk. Combine vodka and pineapple juice in a cocktail shaker with ice. Strain over fresh ice into a clear Collins glass. 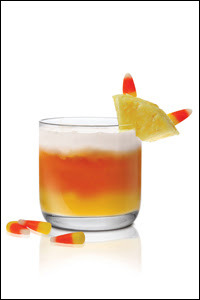 Combine softened orange sherbet and ice in a cocktail shaker and shake vigorously. Strain and pour over bar spoon to layer in the rocks glass. Combine simple syrup and milk in cocktail shaker and shake. Layer milk mixture on top of sorbet mixture.